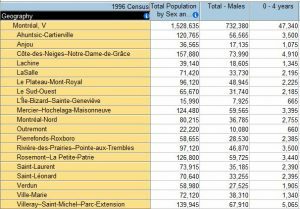 Are you comparing Montreal neighbourhoods over time and wish to look at census data by “neighbourhood names” (e.g. Plateau Mont-Royal) instead of compiling all the corresponding census tracts that make up a particular neighbourhood? Look no further. 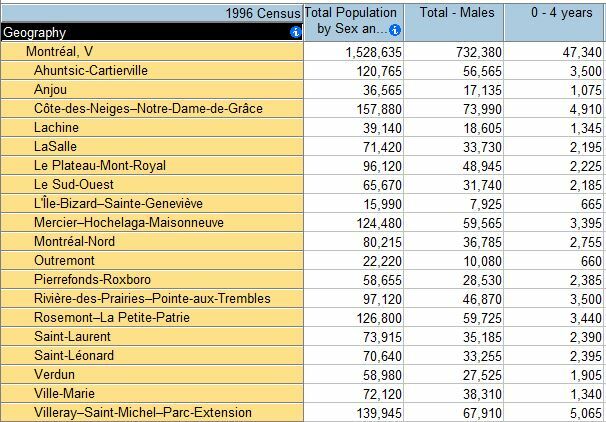 McGill Library purchased census data from 1971 through 2011 (in 2011 Census boundaries) that has been custom-tracted to correspond to the actual names of Montreal neighbourhoods. 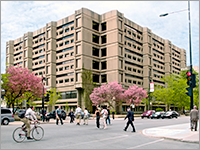 If you require any assistance working with census data, please visit Numeric Data Services to discover more data or to book a consultation. Please note that this custom purchase from Statistics Canada falls under the terms of the Statistics Canada Open License Agreement and is considered open data and is freely shareable. This entry was posted in Updates and tagged data census neighbourhoods montreal historical by Berenica Vejvoda. Bookmark the permalink.